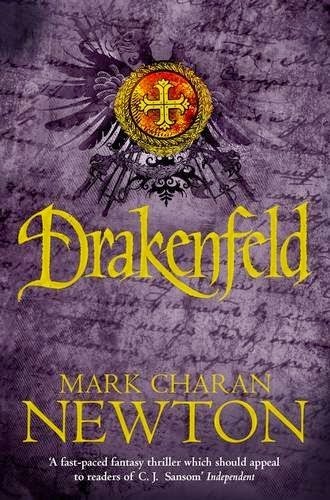 The laid-back detective drama of Drakenfeld marked a propitious departure for Mark Charan Newton: an assured move from the weird and sometimes wonderful fantasy with which he had made his name to a tale of mystery and alt-history not dissimilar to C. J. Sansom's Shardlake stories. But with all-out war in the offing—in large part because of Drakenfeld's discoveries at the end of the text so titled—and a serial killer torturing and slaughtering some of most prominent people in the kingdom of Koton, the darkness of the Legends of the Red Sun series is back; a change of pace Newton paves the way for on the first page of his new book. "In over thirty years of life, a decade of which has been spent as an Officer of the Sun Chamber," Lucan Drakenfeld remarks, "the world has long since robbed me of my limitless optimism." 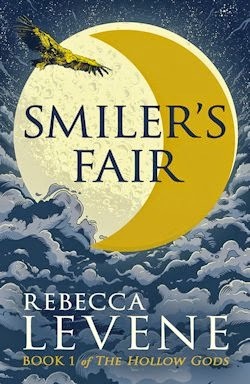 (p.1) To be sure, he appears a pretty positive protagonist compared to grimdark Princes like this year's Jalan and Yarvi, yet the events of Retribution are still to take their toll—on its hero and, indeed, its reader. Sorghatan is "a rich district, and a lot nicer" than the poorer places on its periphery. As one of its magnificent guards remarks, it's "much safer than out there. Food's better and you can drink the water without fear." (p.12) Even the Queen lives here! Thus the fact that someone could commit an act of such barbarity in this well-protected place—all without leaving a trace—has inevitably led to a little unrest. A touch too deliberately, I dare say. The murder mystery at the heart of Newton's novel is, alas, rather opaque. 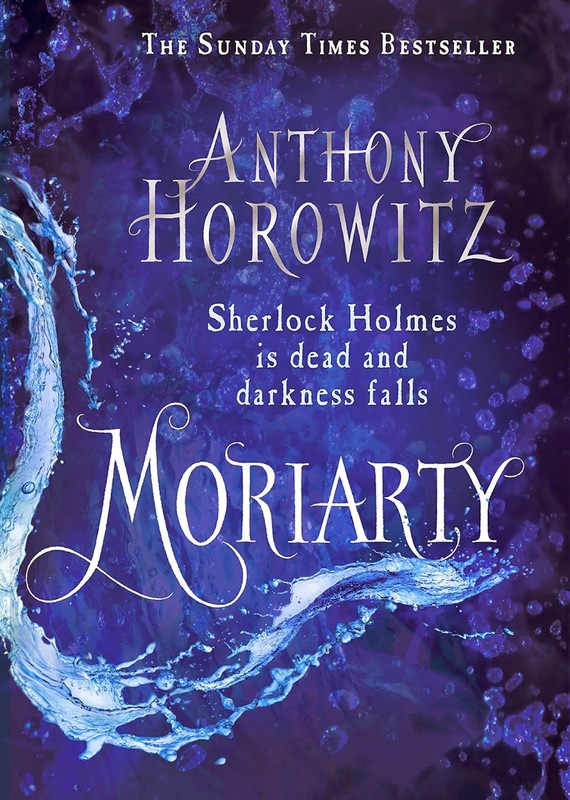 Readers are in no position to play guessing games, as the actual facts of the matter are only disclosed near the finale of the narrative, which robs Retribution of some of the puzzle-solving fun its affectionate predecessor plied. In the interim, its focus on the fucked-up—foregrounded one final time by the book's absolutely brutal conclusion—only exacerbates this lack. Drakenfeld was a nice time; reading this really isn't. A city's identity was born from its inhabitants: they created the mood and the design of the streets. The buildings were symptoms of a culture's art and, ultimately, its political or religious decisions. But from here I could see the mishmash of styles that weren't the expressions of its own people: these were buildings put up to satisfy the demands of a queen who admired other cultures. Though most of the motifs on the surrounding buildings were Detratan, I noted designs from Maristan, Theran, Dalta—even from the deserts of Locco. Better, perhaps, to ask why it's taken so long for something so horrible to happen... or has it? Could Koton have had its share skeletons in the closet all along? Troubles summarily brushed under the rug to lie alongside its people's illegal beliefs? Would that Drakenfeld had the wherewithal to wonder as much. Instead, he's as guileless a goody-two-shoes as he was when we left him, and he's hardly developed herein. Our understanding of his partner Leana, on the other hand, is substantially advanced—a glimpse of her previously enigmatic past completely changes the way we see her—whilst Second Secretary Sulma Tan stands as another fascinating female character I sincerely hope reappears in the series. Retribution is ultimately on a par with its predecessor, but it works for different reasons than Drakenfeld did. Given the ubiquity of the grim and the gritty, I was sorry to see Newton go back to the dark side after the refreshing lightness of his last. 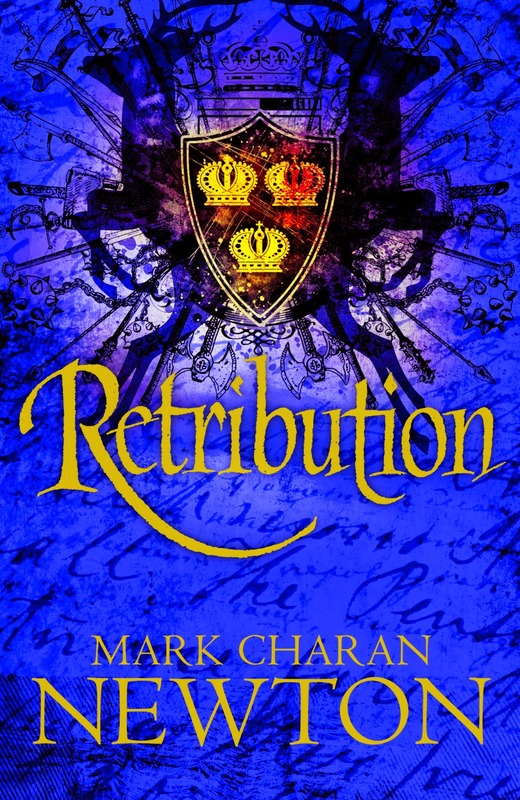 That Retribution's plot revolves around an almost impenetrable pursuit rather than a gripping mystery is regrettable as well. There's a good amount going for it, though: stronger secondary characters and one of the best and most interesting settings I've encountered in ages. A sequel that succeeds—and fails—in unexpected ways, Retribution is decently done... but don't come to this one for the fun.